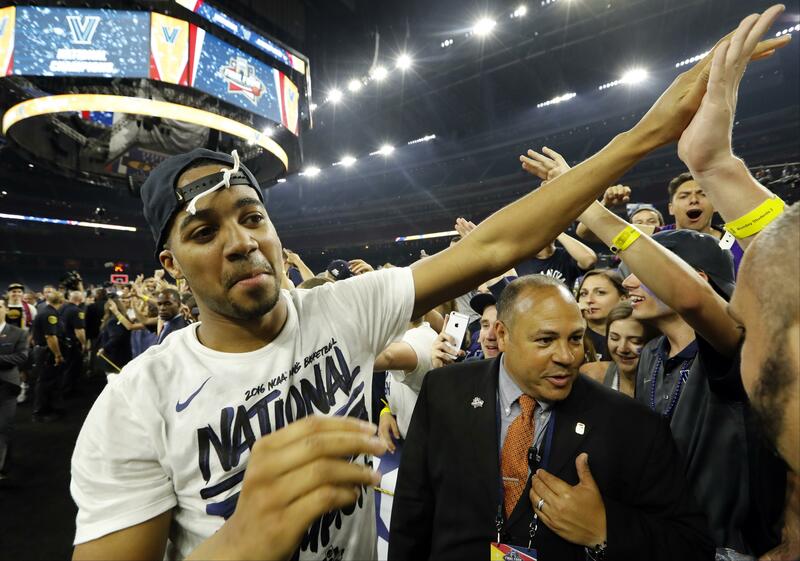 Announced Villanova junior Kris Jenkins, who hit the game-winning 3-point basket in the national championship game, said he has “every intention” of returning to school for his senior year as he goes through the NBA’s draft evaluation process. Jenkins and teammate Josh Hart, also a junior, announced last week that they had filed for early entry to test their draft status without hiring an agent. Washington State juniors Conor Clifford, Josh Hawkinson and Ike Iroegbu declared for the draft Friday. They will not hire agents, allowing them to withdraw before the May 25 deadline to return to school for their final seasons of eligibility. Hawkinson, a 6-foot-10 forward, averaged 15.4 points and 11.1 rebounds last season, both team highs. Iroegbu, a 6-2 guard, averaged 12.7 points and 3.6 assists. Clifford, a 7-foot center, averaged 6.8 points and 2.1 rebounds in his first season with the Cougars. Illinois women’s basketball coach Matt Bollant says leading scorer Chatrice White was granted a release and plans to transfer. White averaged 18.7 points and 9.3 rebounds a game as a sophomore for a 9-21 team. She is a former McDonald’s All-American from Shelby, Nebraska. White’s exit adds to the struggles of the team. Earlier this week, the university settled a lawsuit with seven former players who accused Bollant and some staff of creating a racially hostile environment. Suspended Notre Dame DL Grant Blankenship waits to hear if he has a future with the team after being suspended for violating unspecified team rules and WR Corey Robinson is deciding if he will continue to play football as he deals with lingering effects from a concussion. Robinson, the son of NBA Hall of Famer David Robinson, met this week with Dr. Jeffrey Kutcher, a sports neurologist who specializes in concussion management and treatment, to talk about his multiple concussions, coach Brian Kelly said. “I think it was an extremely educational meeting for him. I’m very hesitant to go into the details, because I think that’s a private matter for Corey. But I know this, he came back feeling really good about the meeting,” Kelly said. Kelly said he expects a decision from Robinson in the next several weeks. Robinson was at practice Friday but was not in uniform as the team prepared for its spring game Saturday. He hasn’t practiced since being injured during the first week of practice last month. “He understands he has to make a decision pretty quickly,” Kelly said. LA Galaxy MF Nigel de Jong was suspended for three games and fined for a rough tackle that left Portland Timbers MF Darlington Nagbe with a sprained left ankle. Referee Allen Chapman gave a yellow card to de Jong during Sunday’s game. But the MLS disciplinary committee decided the play was “egregious and reckless,” according to a statement, meriting a red card and a lengthy suspension. Galaxy coach Bruce Arena vehemently disagreed with the league and the public outcry following the tackle. Arena blamed the response on de Jong’s reputation for rugged play during his lengthy European career, a perception exacerbated by social media and bad journalism. Hired George Washington hired former Connecticut star Jennifer Rizzotti as its new women’s basketball coach, replacing Jonathan Tsipis. Rizzotti, who led UConn to its first national title in 1995 and was the player of the year in 1996, spent the past 17 seasons coaching at Hartford. Rizzotti turned Hartford into an America East powerhouse, making six NCAA Tournament appearances and going 305-181. Santa Clara hired former Point Loma Nazarene men’s coach Bill Carr as its women’s basketball coach. Reported Sepp Blatter says it was “not acceptable” to be accused at a public event that he stayed silent while likely knowing that senior FIFA officials were corrupt. “I am not guilty,” the visibly angered former FIFA president told reporters at the University of Basel in his native Switzerland. Blatter had been the key speaker in a two-hour debate with a mostly student audience on problems facing world soccer’s scandal-hit governing body. After Blatter again blamed officials in the North and South American soccer bodies for corruption, the session closed with the claim made by former International Criminal Court prosecutor Luis Moreno Ocampo. Ocampo suggested Blatter had known about bribery which U.S. federal prosecutors revealed last May in a sprawling indictment that rocked FIFA in its presidential election week. “The real problem with Mr. Blatter is that he had nothing to do with CONCACAF and CONMEBOL, but he knew,” said Ocampo, once a candidate to be FIFA’s lead ethics investigator. Released Nevada President Marc Johnson has released a series of text messages and other documents he says demonstrate why the university was comfortable hiring an assistant basketball coach who was accused of sexual harassment before he resigned from California. The documents were released in response to a public records request from the Reno-Gazette Journal. They include hundreds of texts between Yann Hufnagel and a 24-year-old reporter who accused him of sexually harassing her while he was at Cal. Injured Nebraska gymnast Jennie Laeng was taken to a hospital as after falling on her head during her uneven bars routine at the NCAA women’s gymnastics championships. Laeng was taken off on a stretcher with a neck brace. Published: April 15, 2016, 7:58 p.m.